With the release of the new iPhone 5s, users with older iPhone models are faced with the perennial dilemma: to upgrade or not to upgrade. An interesting list of new features like the fingerprint identity sensor and new design are more than enough to tempt loyal users to make adjustments to their budgets and head out for the nearest Apple Store. Imagine changing the settings of your iPhone with a simple swipe up from your screen. With the Control Centre, users will be able to change Wi-Fi settings, toggle the Airplane mode, adjust the screen’s brightness level, and use the flashlight feature with one swipe. Users can also access the phone’s camera, calculator, timer and music player. There is absolutely no need to look for the Settings icon and no need to scroll down through numerous options. A single swipe on the iPhone provides the user with incredible control over the settings even from a locked screen. The torch or flashlight is a function that has been available to some Nokia and Samsung mobile phone models, but has curiously been a third party application that iPhone users have to download. This simple functionality could prove invaluable for users who need to search for something under the couch or find their way in the dark. With the iOS7, the torch function is introduced as a standard feature and is easily activated with the touch of a button. The LED flash at the back of the phone will serve as the light source that can be controlled via the new control centre. Older operating systems allowed users to search the device for contacts, applications or files by simply sliding to the left-most part of the home screen. This process has been simplified by the iOS7, which now allows access to the search field by simply swiping down from the home screen. This gesture will open a search box, allowing the user to input search phrases without having to go to a dedicated search screen. Swiping up, on the other hand, will provide another useful function. Double clicking the home button will reveal all the apps that are currently in use or running in the background. A simple upward swipe will close the app. This is particularly useful when the user wants to minimize the number of open apps, improve battery life, or reset specific applications. The new iOS7 now allows users to store personal information such as account names and passwords in iCloud. The system even provides the option of automatically filling out the details when the user signs in to an online site or a website. While this may come across as a security threat, the option to save information is useful for people who do not want to forget multiple account logins and passwords. Passwords are encrypted for added safety. For the security conscious, there is an option to disable this feature. A much needed improvement has been made to the iOS7 version of Siri. It has a new look, a better sound, and an interesting arsenal of new capabilities. For starters, the user now has the option to choose between a natural sounding male or female voice. The system also utilizes more sources when answering questions, and taps sites like Bing, Twitter and Wikipedia. The new Siri is also able to take on additional tasks such as playing voicemail, returning calls, and controlling music. Finally, the new iOS7 brings the revolutionary iTunes Radio feature to the iPhone. Users will now be able to stream radio stations without the need of downloading third party applications. They will have the option to curate and select music based on their personal preference of songs, genre or artists. In summary, users do not need to upgrade to the new iPhone 5s to make the most of the iOS7 update. This will come as a relief to iPhone users who do not necessarily see the need of upgrading from a phone that they bought one or two years ago. 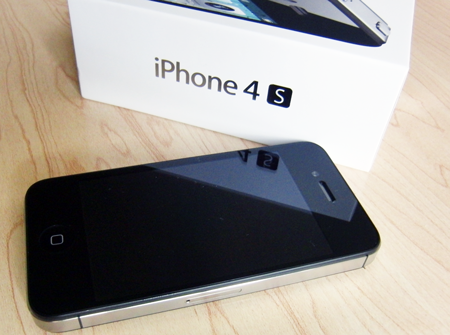 Older models like the iPhone 4s are perfectly capable of providing most of the new features, with the exception of some functions that require the updated hardware of the new model.